Hi guys! How’s everyone doing with their Paleo diet journey? 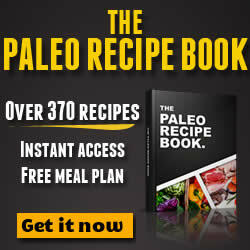 I have previously created a post on Paleo Diet Easy Breakfast Ideas to try, which have been getting a lot of traffic. This prompted me to come up with another post on Paleo breakfast ideas – this time with EGGS taking centre stage. Why Use Eggs For Paleo Breakfast Ideas? For such a long time, like many, I have been led to think that the consumption of eggs should be limited due to its high cholesterol content. This of course made me limit eating eggs twice a week, max. But as many Paleo enthusiasts have discovered, eggs is one of the cheapest, delicious, ready accessible ingredient that is packed with so much nutrients. Suffice it to say, eggs are nutrition-packed powerhouses. A dozen of organic eggs will roughly cost you $4, which you can easily use to whip up unbelievably tasty and easy to prepare Paleo breakfast ideas that are sure to help you start your day right. Important: People with special food restrictions and health concerns should check with their doctors on the allowable consumption of eggs per week. Eggs are unbelievably great for the eyes. According to health studies, consumption of eggs can help prevent the progression of macular degeneration mainly due to its high carotenoid content, specifically zeaxanthin and lutein. 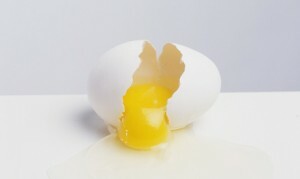 Researchers discovered that eggs can also considerably lower the risks of cataracts. Eggs are known to contain 6 grams of high quality protein as well as the complete 9 essential amino acids. In a study conducted by the Harvard School of Public Health, there is no link between heart diseases and egg consumption. 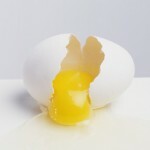 In fact, eggs can help in the prevention of stroke, blood clots and heart attacks. Of course, as with anything else, moderation is key. Eggs have been identified as a great source of choline, with each yolk containing 300 mg. Choline is a very important nutrient in regulating brain, nervous system as well as the cardiovascular system. This is a healthy, no fuss Paleo breakfast recipe that you can prepare in 20 minutes or less. Heat oil in an oven-proof frying pan over medium heat. Add in the shallots and let it cook for about 3 minutes or until they turn translucent and soft. Stir occasionally. Add the asparagus. Cover and let it cook for 3 minutes. Add in the lightly beaten eggs and let it cook. 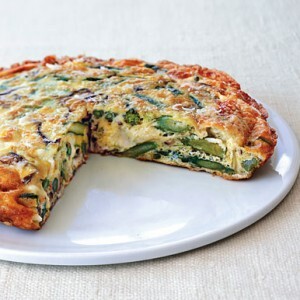 While eggs are still runny on top, finish it off in a pre-heated oven broiler. Cut in wedges before serving. You can’t go wrong when it comes to cooking eggs. This one is really easy to prepare, perfect for people who want to beat the morning rush. Preheat a non-stick skillet over high heat. Crack the eggs and break the yolks into the skillet. Allow the eggs to cook about 50 seconds on each side. Top it off with guacamole and salsa before serving. This is one of the hearty Paleo breakfast ideas that you can actually enjoy any time of day. Prepare a large batch and simply heat leftovers. Set aside ½ cup of chicken stock. Combine all ingredients together except for the eggs and bring to a boil. Reduce heat to a simmer then slowly pour in the lightly beaten eggs, all the while stirring the soup. This will help spread the eggs into thin ribbons. So whoever said you have to continually stick to hard boiled eggs, sunny side up and omelet for breakfast? With these Paleo breakfast ideas, you can look forward to enjoying your eggs with a little gourmet flair.